An Australian horror film based on a 2006 short story, The Babadook tells the story of widowed mother Amelia (Essie Davis) who moves into an eerie home with her son Samuel (Noah Wiseman). She then finds an old pop-up book about a strange character called The Babadook. 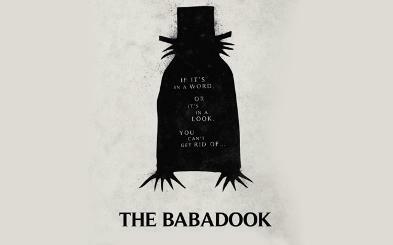 Rather than throwing it straight in the bin she chooses to read it to her son, bad mistake, "If it's in a word or in a look, you can't get rid of the Babadook" the book warns her. Unsurprisingly strange things start to happen in the house and young Samuel finds a new invisible friend called Mr Babadook. As the pair become more and more isolated from the outside world the evil entity that possesses the book takes a stronger grip on Amelia leading to some genuinely scary moments as the Babadook stalks her and her son from the shadows. The Babadook doesn't bring much new to the horror table other than an outstanding performance from young Noah Wiseman. As a horror film it's a bit of a slow burner but when it does eventually turn up the heat The Babadook might just have you scared enough that you might want to check under your beds and in your cupboards before you venture off to bed. You just never know where or when Mr Babadook may appear.